In less than a month’s time, the Library’s Arthurian exhibition will close its doors, and our hero will return to his isle of enchantment. To mark this year’s Explore your Archive, two events at the National Library on the 15th of November drew attention to all things legendary and archival here. 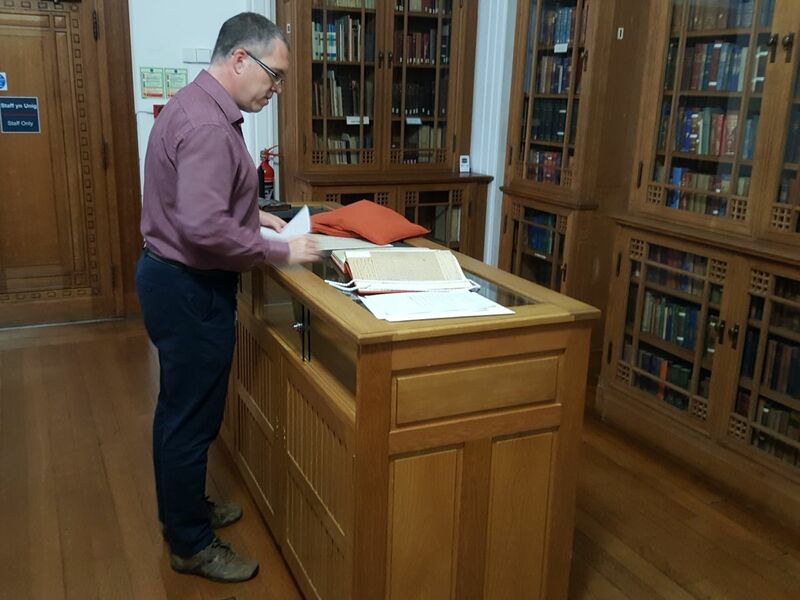 A lunchtime presentation by Scott Lloyd of RCAHM Wales (author of The Arthurian Place Names of Wales) discussed myths, legends and archaeology, drawing on examples from over a century of archival accumulation by the Commission. A gallery talk by Maredudd ap Huw, curator of the Arthurian exhibition, led visitors on a trail following the king in his many guises: from the legendary Welsh figure in sources such as the Black Book of Carmarthen and the White Book of Rhydderch, through his medieval French manifestations, before returning to his mixed fate in Tudor Britain. It is unlikely that King Arthur himself was an archival creator: he was far too busy to keep minutes, file correspondence, and audit accounts. However, manuscripts and books concerning the king may still be seen and enjoyed at the Library’s Hengwrt Gallery until he finally sets sail on December 16th. ‘This is the land that has obsessed me throughout my life. My love of it ?is not superficial but deep, for my family have for so many generations ?had the same feeling for the land and its people. When I left art school ?I did not have to think what I should paint for my subject was deep ?inside me and waiting for me to record it’. 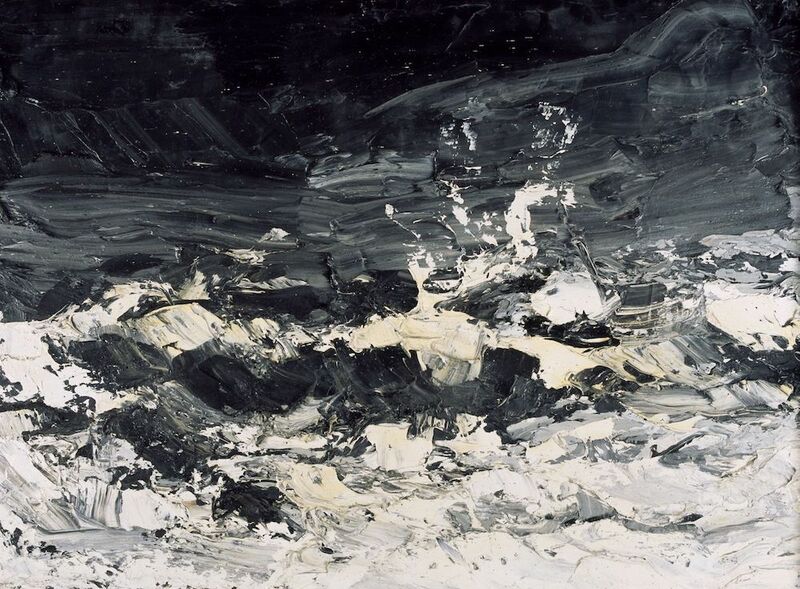 (Kyffin Williams, ‘The Land & the Sea’, Gomer Press,1998). 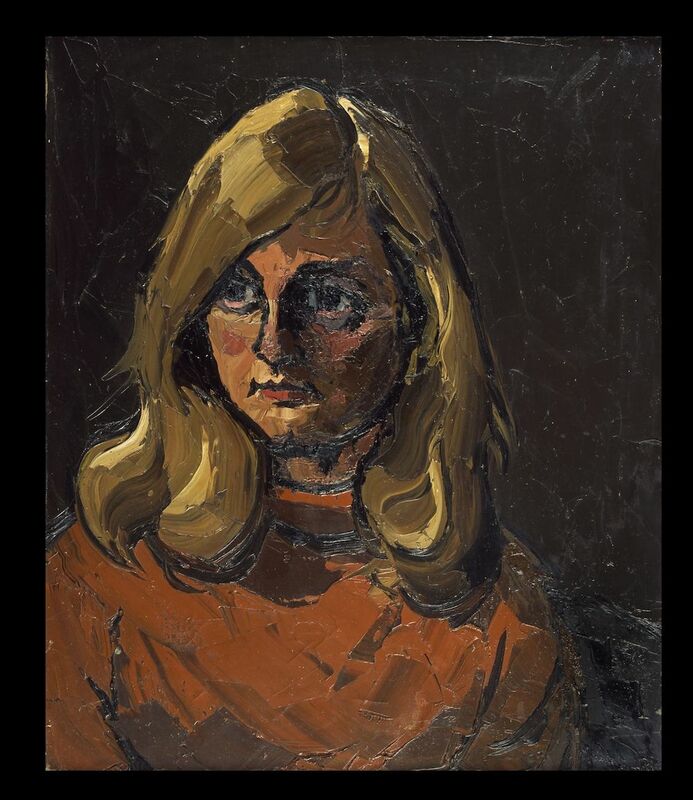 The Kyffin Williams Exhibition which opens on the 16th of February, ?2018 will commemorate the centenary of the birth of one of Wales’ ?leading artists. It is therefore an opportunity for the National Library ?to celebrate its rich collection of the Anglesey born artist’s works – ?from his iconic landscapes and powerful seascapes of Anglesey, ?north-west Wales and abroad to his emotive portraits. There is also an opportunity within the exhibition to view lesser-known works by the ?artist previously unseen by the public, which include his preparatory ?works such as his sketchbooks and his printing blocks. The Library ?houses over 200 oil paintings, over 1,200 works on paper and over 300 ?original prints by the artist. 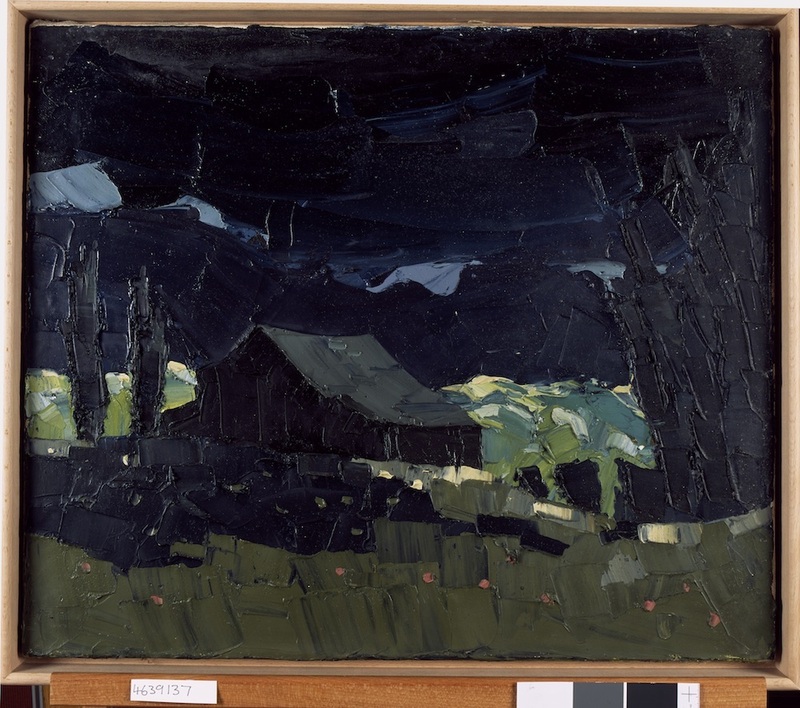 Many people mainly associate Kyffin Williams with his impasto technique ?of painting – placing the oil paint down thickly onto the canvas using ?a palette knife. An extremely interesting aspect of the research into ?this exhibition was to discover the early works which the artist created ?whilst he was a student at the Slade School of Art and an art teacher at ?the Highgate School in London in the 1940s through to the early 1970s. 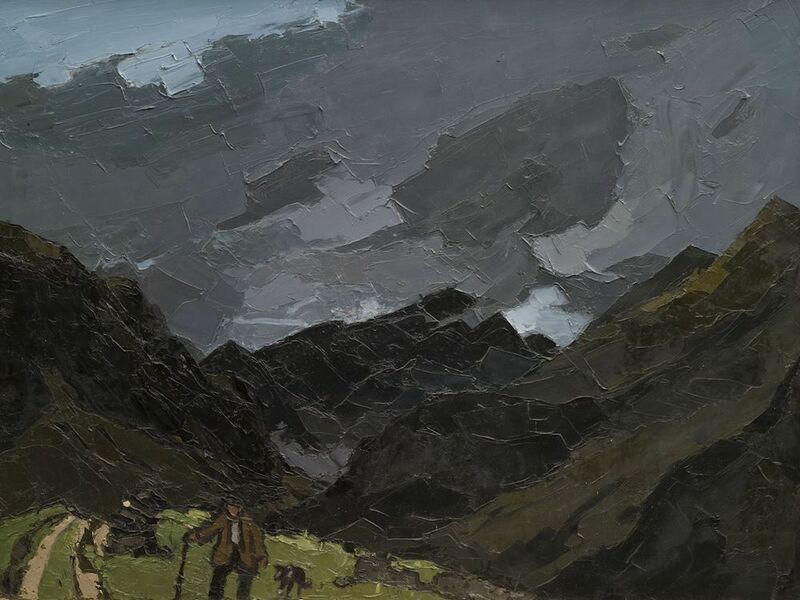 ?These early works are of great importance in showing how Kyffin ?developed his technique and iconic style of painting which from the ?beginning of his career caught the imagination of the people of Wales. Within this exhibition we shall also gain an invaluable insight into ?Kyffin’s creative mind by taking a look at a few films on the ?artist and also his diaries and letters which are housed within ?our archives. Kyffin Williams was a skilled writer who instantly caught the ?reader’s imagination and his entertaining autobiographies are ?testimony to this. This exhibition will therefore be an unique ?opportunity to celebrate Kyffin’s words and images in an extremely ?effective manner on the walls of the National Library’s iconic Gregynog ?Gallery. 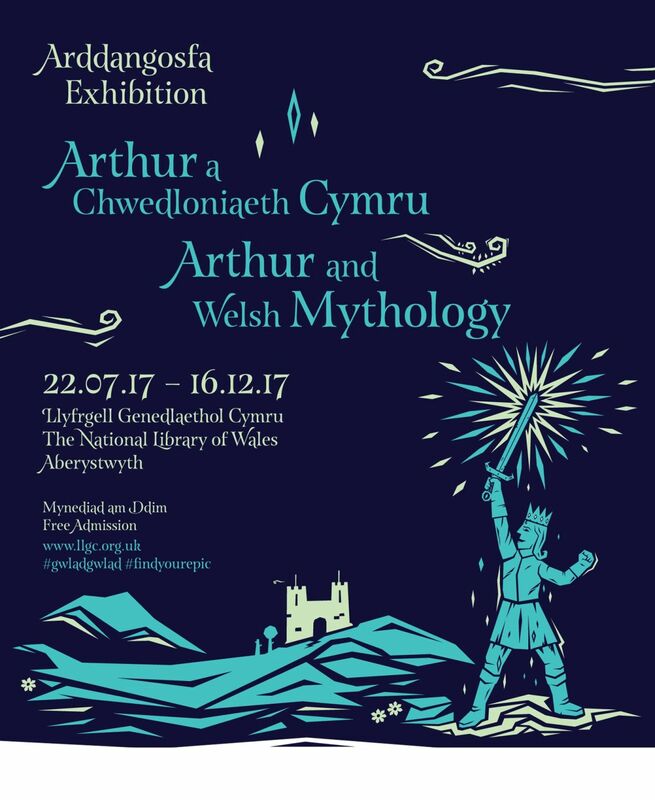 With the Library’s current exhibition Arthur and Welsh Mythology looking at Wales’ rich tradition of myths, legends and folklore, including the Welsh Arthurian tradition, now is perhaps an opportune moment to note that amongst the Library’s Welsh Print Collection is one of Wales’ largest collections of Arthurian literature and works on the Arthurian legend. With its roots in early Welsh poems such as Y Gododdin, early Welsh tales such as Culhwch ac Olwen and Geoffrey of Monmouth’s Historia Regum Brittania, the Arthurian legend encompasses a variety of literary forms, including the chronicle, the romance, poetry and the novel, and a number of other artistic forms such as opera and film. The Arthurian legend and its mythos also give us an example of a truly Trans-European literary tradition (or transatlantic tradition if we include the Connecticut Arthur). Starting from its roots in Welsh poetry and folklore, Arthurian literature and legend spread across Europe, with English, French, Italian, German and Nordic influences, amongst others transforming, cross-fertilising and enriching the genre. A poster for the exhibition held at the National Library from 22 July to 16 December. The Arthurian legend has also proved to be an especially durable and enduring literary tradition, from early Welsh poems and folk-tales through to the chivalrous romances of the medieval period, the Arthurian revival in the nineteenth century and the fantasy novels and historical fictions of the twentieth and twenty-first century. During this time the Arthurian legend has also been used for a variety of political and ideological purposes with the uses made of the legend to support both Welsh and Norman claims to the island of Britain during the medieval period just one example of how Arthur was used in this way. 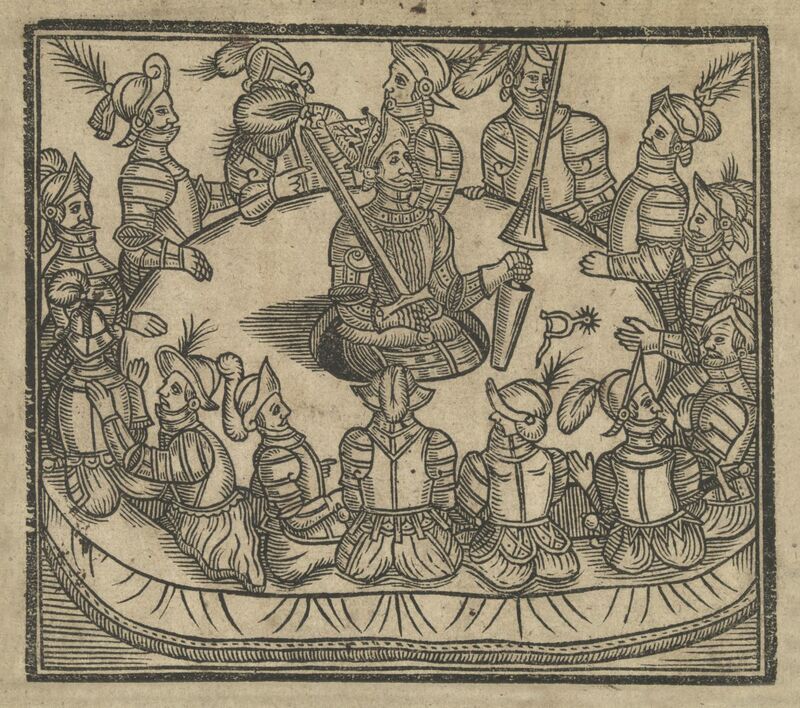 The Library’s collection of printed works related to the Arthurian legend is as varied as its history. Comprising over 1,500 titles, the collection, dating from the early nineteenth century onwards, reflects its trans-European nature including works in Welsh, English, French, Italian, Spanish, Portuguese, German and Norwegian. It also reflects the variety of literary forms with works ranging from early Welsh poems and tales, the chivalric poems and tales of the medieval period through to the novels of John Steinbeck, T. H. White, Bernard Cornwell and Rosemary Sutcliffe alongside the Monty Python and the Holy Grail screenplay. The collection also includes a large number of academic works on the Arthurian legend and Arthurian Literature. So if you have an interest in Arthurian literature, Arthurian legend or the mythology of ancient Britain or are visiting the exhibition and want to learn more, why not take a moment to explore the collection through the Library catalogue. 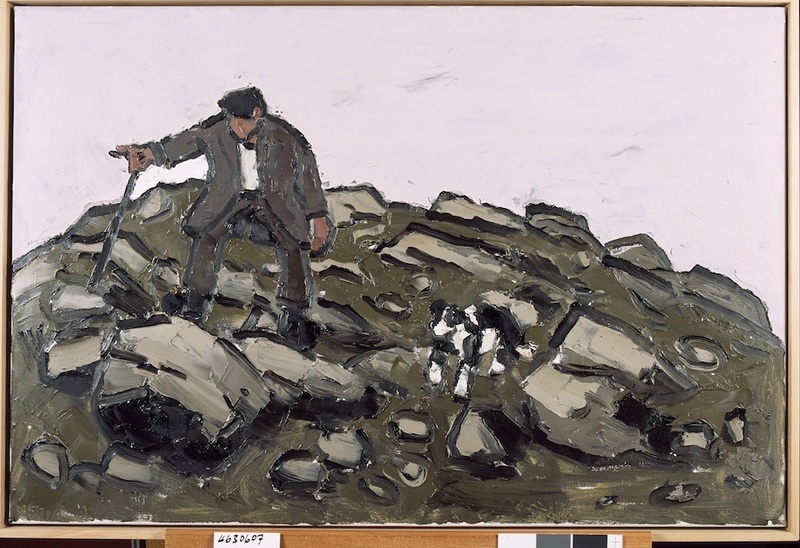 “It is ironic that I am the most loved & most honoured Welsh artist of all time & yet I am hated by the art world.” – Kyffin Williams (diary) 16th October 1993. 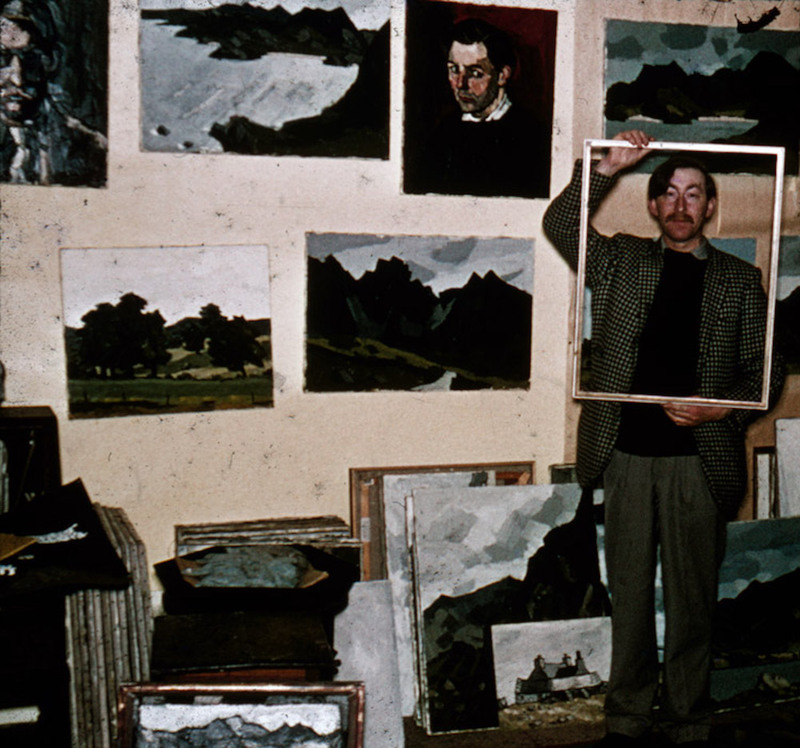 We are delighted to reveal plans to hold an extensive exhibition which will launch in February 2018 to commemorate the 100th anniversary of the birth of one of the defining Welsh artists of the 20th century – Sir Kyffin Williams. 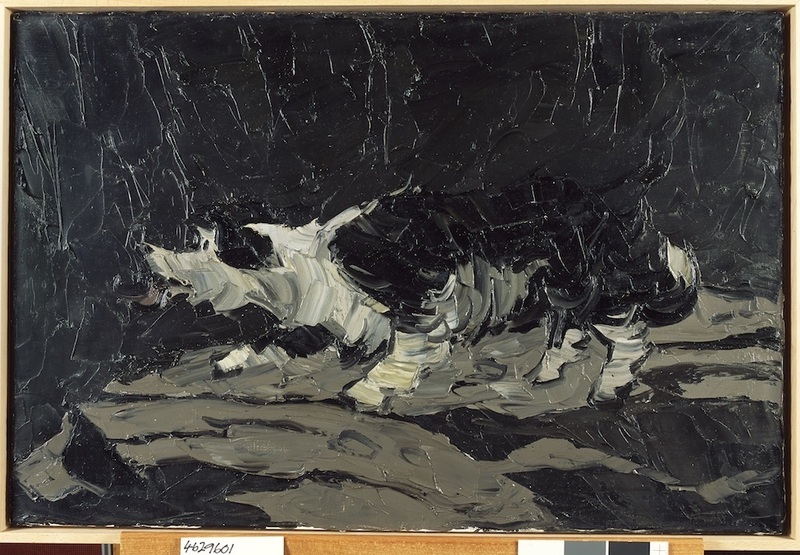 The relationship between the Library and the artist first began in 1949 at the start of Kyffin’s career when we first purchased one of his paintings. From this point onwards this relationship was cultivated through consistent purchases, donations and exhibitions until his death in September 2006 when the Library was bequeathed a generous part of his estate. 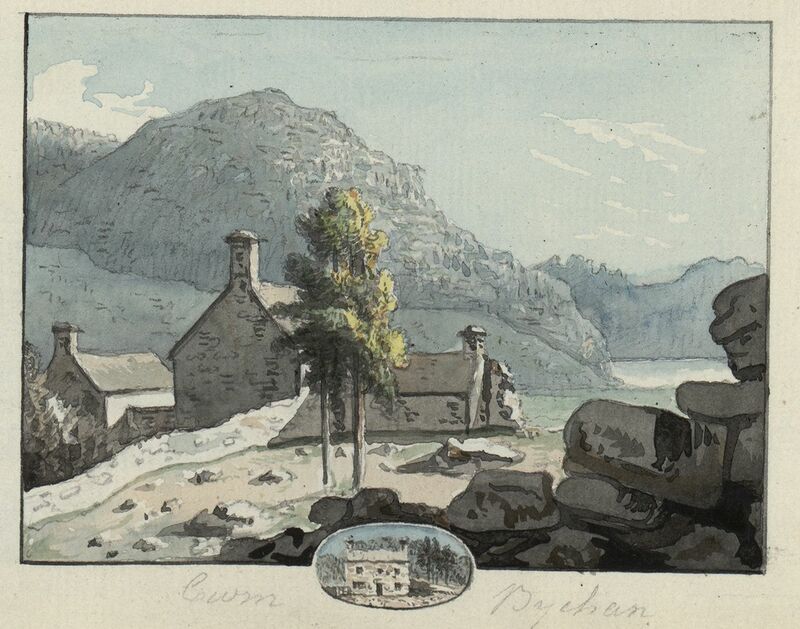 The Library’s existing collection together with the bequest, forms the largest most comprehensive collection of material relating to Kyffin Williams in existence. So what has the Library been doing with this generous gift until now? Organising and presenting a comprehensive exhibition of his work is a product of several years of sorting, cataloguing, conservation and study, although this is still on-going and there is much to do. 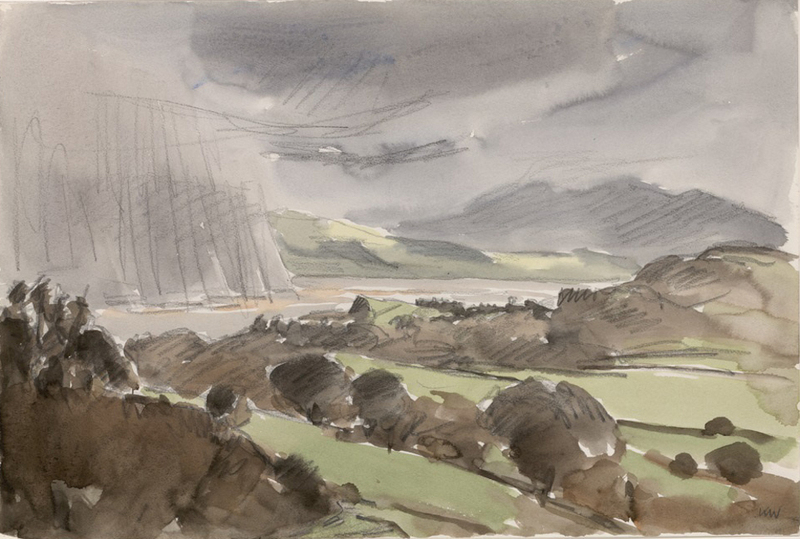 We have been making his collections accessible to the public both on-line, through exhibitions and our loans programme, particularly with our partner Oriel Kyffin / Oriel Ynys Môn. In fact our relationship with Oriel Kyffin is a great legacy of Kyffin’s bequest, where hugs now replace handshakes at meetings! The Library and Oriel Kyffin will be teaming up to share collections during the centenary year along with working together on a rich programme of outreach activities. 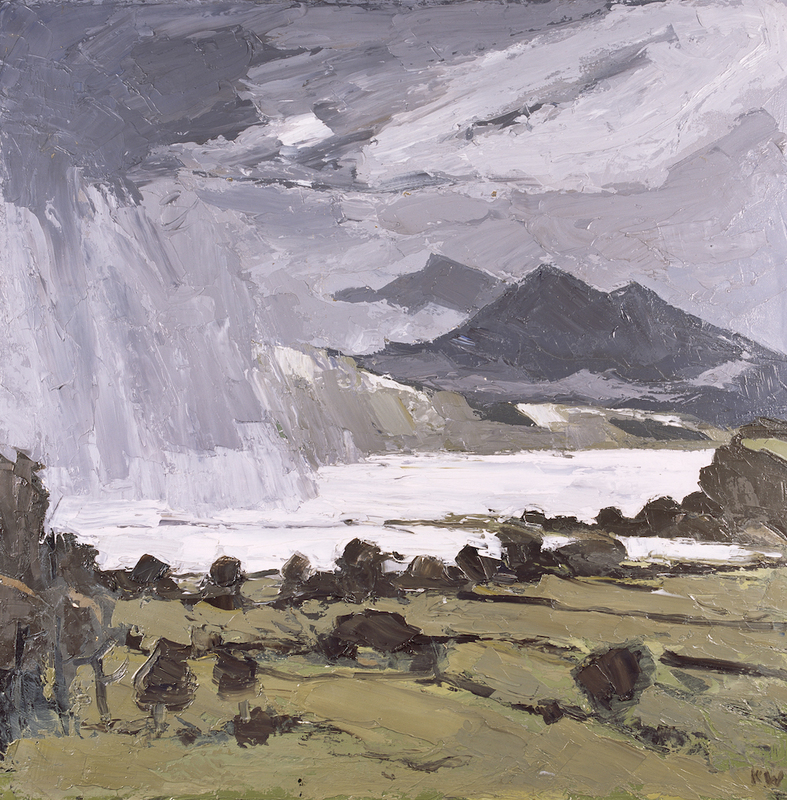 The iconic style and subject matter of Kyffin’s work is appealing as it has become synonymous with the vision of Wales and Welshness, an essential aspect of our understanding of who we are. But who was he? How do we represent such an iconic artist who has been written and talked about by so many? We felt the best way of doing this was to draw upon the artists own words – from his own diaries and letters – to interpret his creations. We will look ‘behind the frame’ to learn about his technique, what inspired him and how his personality and complexity of his character and health influenced his life and work. Our patronage of this artist over the years has culminated in this exhibition and a whole host of events and outreach activities during the centenary year. It is particularly pertinent that – as we come to a close in the year of legends – we launch a celebration of this unique and legendary individual. 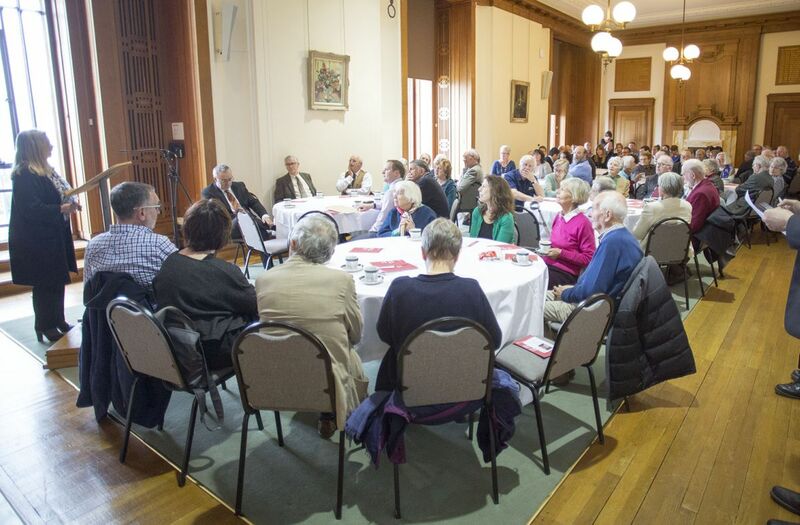 There was barely room left in the Council Chamber of the National Library of Wales on Wednesday the 4th of October when friends of the Library came together from all over in order to take part in our Accessions Day. All the guests had contributed something important to our collections, a valuable item or a financial donation enabling us to purchase a specific item. The Library has benefitted from the generosity of the public since its founding and the Accessions Day was a opportunity for us to say thank you very much to our to our friends by creating a varied exhibition of some of the treasures that have come through the doors in the past few years and by offering them the chance to socialise over lunch. Afterwards specialist Library staff gave several presentations on different aspects of the collections: a look at the wonderful family pedigree of Gawen Goodman; a description of the various interesting ways that archives arrive here, traditional paper archives and screen and sound recordings; and the importance of Gwilym Pritchard’s sketch books in the process of creating a painting. Y Llyfrgellydd Cenedlaethol, Linda Tomos yn croesawi'r gwesteion i'r Llyfrgell / The National Librarian, Linda Tomos welcoming the guests to the Library. 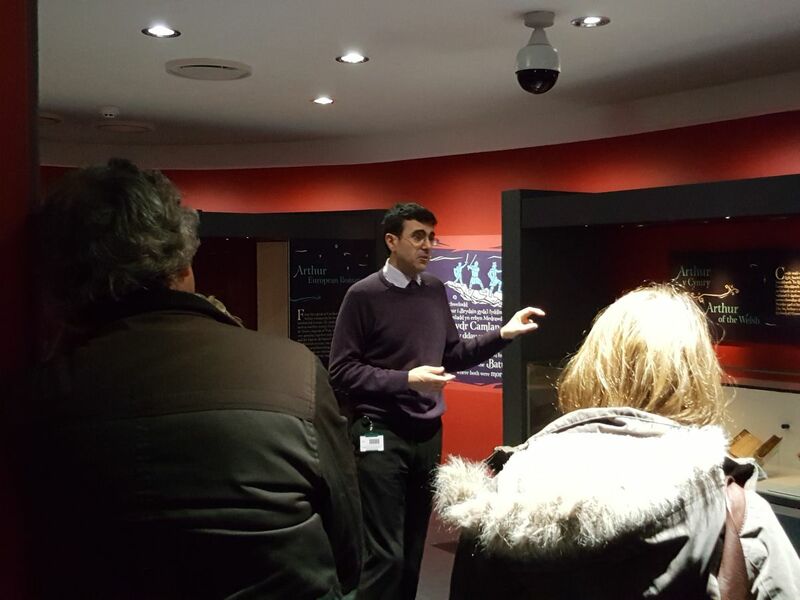 The event was also an opportunity for us to talk about our new Collections’ Fund. This fund will become more and more important as we have to compete with other bodies for public money. 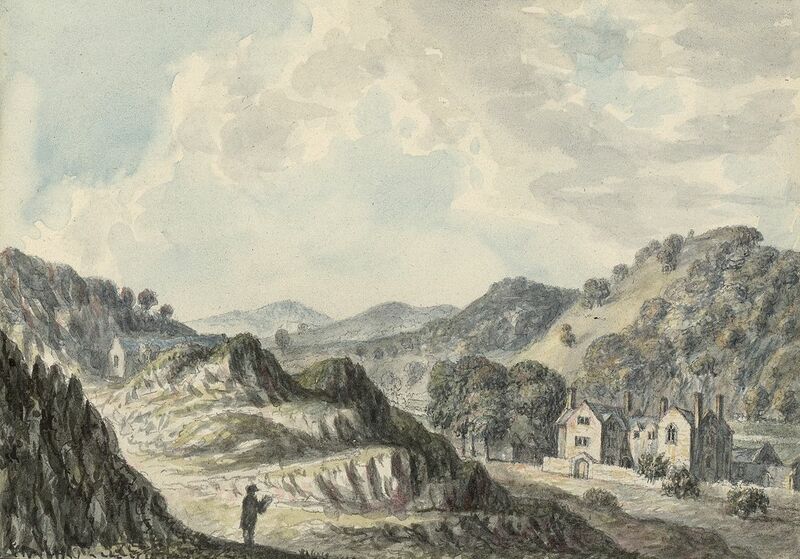 In 2016 the Library failed to purchase a letter by the famous Welsh buccaneer, Sir Henry Morgan. It would have been great to see the letter in our recent accessions exhibition this year but maybe, with your help, the next time a similar treasure comes to market, we will have quite a bit more wind in our sails! The second Modernist Network Cymru (MONC) conference takes place at the National Library of Wales and Aberystwyth University School of Art on 12-13 September 2017, with ‘Word and Image’ as its theme. and a holograph copy of Thomas’s poem ‘Ears in the turrets hear’ (NLW MS 23990D). The exhibition can be seen in the Summers Room at the National Library on 12-13 September 2017. Musician Dr Lyn Davies talks about his love for art as part of our #LoveArt campaign. 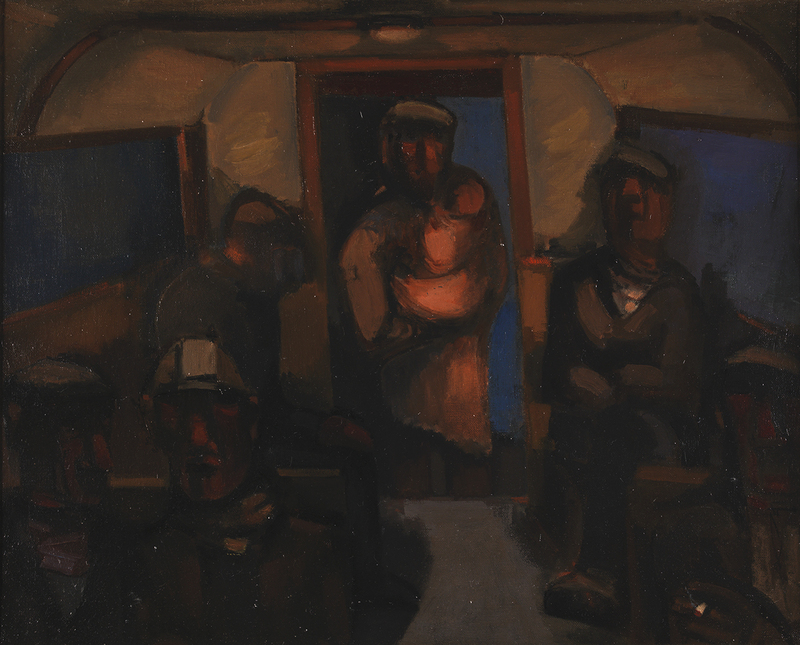 Miners' Bus : Josef Herman.